XJTAG offers embedded computing specialist Datasound Laboratories Ltd. an affordable solution to test its Single Board Computers (SBCs) with its comprehensive Boundary Scan equipment. DSL manufactures Single Board Computers in a variety of formats. Complete embedded systems and Touch Screen Panel PC systems (open frame or panel mount) also contribute to the DSL range. The company chose XJTAG Boundary Scan to test its Single Board Computers because, as Marketing Manager Steve Rye explains, it needed a testing system capable of analysing embedded processors, DSPs, CPLDs and FPGAs. Steve says that the XJTAG Professional Development System was selected over other test methods because its comprehensive boundary scan system offered a reliable and efficient solution that could be used throughout the manufacturing process — from design to production. This helps to reduce the time taken in debugging boards, by discovering faults at an early stage. Steve explains that DSL looked into other methods of testing but decided on the XJTAG boundary scan system because the solution can test a high proportion of a circuit (non-JTAG as well as JTAG devices), including BGAs and chip-scale devices, SDRAMs, Ethernet controllers, video interfaces, Flash memories, FPGAs and microprocessors – removing much of the guesswork associated with using traditional methods. XJTAG also enables in system programming of FPGAs, CPLDs and Flash Memory. XJTAG also makes it easy to write test routines for devices and allows users to store them in a library, so they can be reused again when the same, or a similar component, is used. The XJTAG Professional System provides an extensive list of reusable scripts whilst XJEase, XJTAG’s high-level test description language, allows engineers to write and customise tests for JTAG and non-JTAG components without needing to understand exactly how boundary scan works. “XJTAG’s boundary scan system was chosen by the company for its affordable cost and intuitive development which allows the design team to easily write tests for non-JTAG parts accessible from devices on the JTAG chain”, explains Steve. Steve continues: “We considered X-Ray testing to be too expensive and it was also unable to test a lot of the board sufficiently. XJTAG Boundary Scan also allows our contract manufacturer to test our board and program the devices on it, thus removing two stages from the process. “All of our contract manufacturers use XJTAG’s specialised run-time version, XJRunner, to 100% test our products”. As Steve explains, adopting the XJTAG system by using XJRunner has enabled DSL to acquire multiple boundary scan seats at competitive prices helping the company to work with its contract manufacturers more effectively by using a common boundary scan platform. This means that yields are kept high and any recurring issues are looped back to the design team for rectifying. We use XJTAG boundary scan to test industrial Single Board Computers (SBCs), designed in house by our experienced design team. XJTAG offers affordable and intuitive development with the ability to easily write tests for non-JTAG parts that are accessible on the JTAG chain. All of our contract manufacturers use XJTAG’s specialised run-time version, XJRunner, to 100% test our products. Datasound Laboratories Ltd. (DSL) is a UK-based company located on the business technology park in Letchworth Garden City, Hertfordshire. 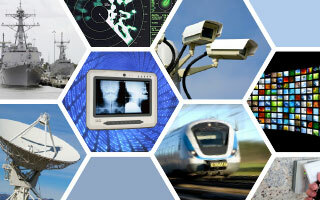 The company has grown from strength to strength since designing its first embedded target platform in 1985, and is now recognised as a leading specialist supplier of embedded computing solutions to the Original Equipment Manufacture (OEM) market. It is known for its performance-optimised, cost-effective target platforms.